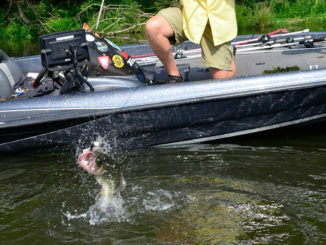 On Maynor Creek, a 500-acre lake near Waynesboro, bass are generally holding shallow this month. 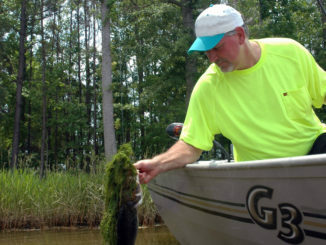 The grass breaking up makes accessible sections of the lake that have been almost inaccessible to anglers earlier in the year; you can see baitfish concentrating in the grass and be able to catch the big bass that have been holding deep in the grass earlier in the year. I’m concentrating on 1,075-acre Lake Okhissa this month, since it is home to plenty of vegetation and numbers of big bass. 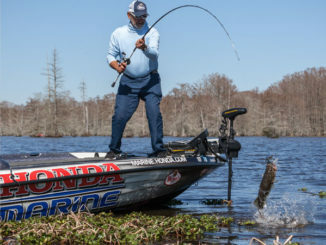 September often is a tricky month to fish for bass; baitfish are starting to move into shallow water — with bass following them — and the vegetation is breaking up some, which means more areas will be available to fish than in the summer. 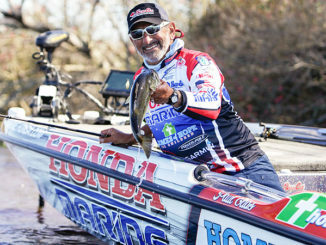 My favorite lures will be surface lures, frogs and punch baits. 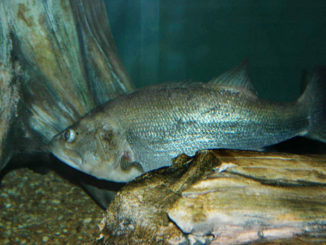 I like to fish rivers for bass in August, because they always have some current moving, and fish like that. The Tombigbee River that divides Alabama and Mississippi is one of my favorite rivers for August bassing. I’ll start fishing at the Columbus pool and also fish the Aliceville pool. 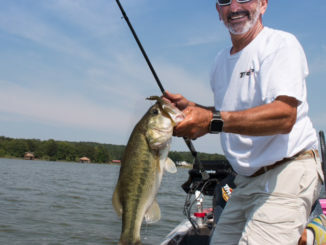 July is when bass in Ross Barnett go to the lily pads that are plentiful in the reservoir, which is a relatively shallow lake, holding numbers of 5- to 6-pound fish. 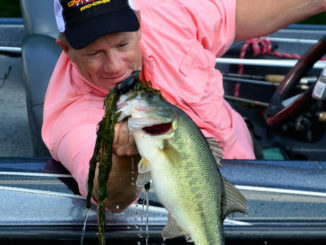 Pickwick Lake is a great ledge lake. 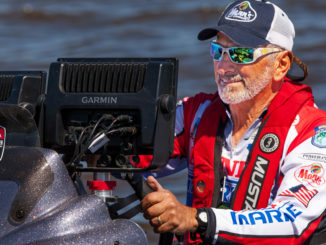 Although you primarily will be fishing for and catching largemouths there in June, when you get a strike, you don’t know what you’ll reel in, because all types of fish and baitfish will be running those ledges. 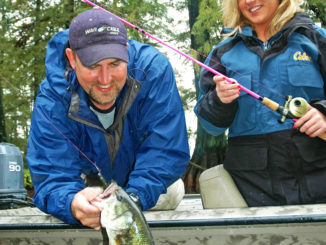 All of the Tennessee River lakes are extremely fertile and home to an abundance of baitfish. 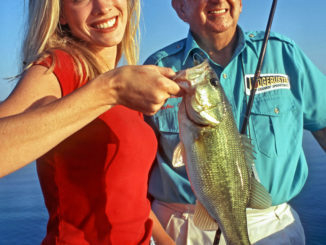 During June, the ledges are the structure you can bet on to find and catch bass. Maynor Creek, a 500-acre lake near Waynesboro, is a Pat Harrison Waterway District lake. One of the older lakes in that group, Maynor Creek had issues with its dam almost 10 years ago. The state pulled the water level down to repair the dam.